For me, you cannot beat the sweet aroma of cinnamon as it wafts through my house on baking day making me feel all warm inside. It lifts my spirits and whets my appetite for muffins, rice pudding or cake. The kids love it and it’s a kitchen essential that stands beside raw honey on my shelf and is one of the reasons I created the Balqees raw honey, cinnamon with sesame seeds fusion. It combines taste and ingredients close to my culture. We use Ceylon cinnamon in the fusion which has a more complex and quite intoxicating flavour. In Sri Lanka, cinnamon sticks are used as toothpicks as it kills off bacteria that causes gum disease and the UK’s Guardian newspaper reports it being a well-used spice in Indian Ayurveda medicine and known for its healing properties. Researchers at the University of Toronto found that consumption of cinnamon can significantly reduce blood pressure, particularly in people diagnosed as pre-diabetic or type 2 diabetic. Cinnamon seems also to have a beneficial impact on blood-sugar levels, it can aid glucose control whilst enhancing the effectiveness of the body to produce insulin. Fathima is a South African mum living in Dubai. She has three children, Zahraa, 14, Maryam, 11, and Muhammad, 7. She shares her insights into how she incorporates raw honey and cinnamon into her daily routine. I use cinnamon daily in our tea. I don’t usually sweeten my tea but I do sometimes add raw honey for my kids if they have Rooibos tea. Cinnamon is supposed to reduce your blood sugar and keep cholesterol low, plus adding it to my tea seems to make it taste sweet even when I haven’t added any sugar. I also love to give my kids raw honey, turmeric and cinnamon mixed together when they’re ill or threatening to be ill. Turmeric and honey have antibiotic properties so the mixture works well in this case. Cinnamon is also anti-inflammatory which helps too. I add the Balqees honey, cinnamon with sesame seeds with cardamom, fresh mint and turmeric to make a golden milk. Great to give my kids and us adults too as an immune booster! A sprinkle of cinnamon also works wonders over oat porridge but now that I have the Balqees honey cinnamon infusion I’m going to add that instead. It tastes like a hug in a jar and so gorgeously fragrant. Hiba hails from Thalasherry, Kerala, India but was born and brought up in Dubai, which she calls home. She is an art lover and baker and mum to a toddler, Arham. Being a culinary explorer, spices play an important role in all my cooking adventures. Mainly for the flavour, it adds and the immense amount of health benefits they carry within them. Cinnamon is one such important ingredient in my spice cupboard. I usually get the dry sticks, dry roast them in a pan and powder in a dry grinder. Dry sticks of cinnamon along with other spices like bay, cardamom, cloves, and cumin are used as a base for most of my Indian curries, to flavour the oil followed by the onions and veggies and meat to create of concoction that is poured over rice or served with bread. Cinnamon is an important component of the warm blend of spices which we call, Garam Masala. A small pinch of Garam Masala sprinkled on warm curries and marinades gives a beautiful aroma and depth of flavour to the dish. While making a biryani, cinnamon sticks are added to scent the rice and Garam Masala is sprinkled in every layer of the rice and meat gravy to create an aromatic ‘dum’ that makes an exotic one pot wonder. When I started weaning my son, I was advised not to use any salt in his food. So to not make his food bland, I always added a pinch of spice to add flavour to his food. Cinnamon worked its way mostly into his oats, semolina porridge and apple-plum sauce. 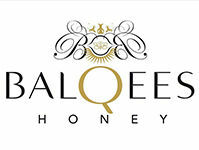 Balqees’s honey infusion with cinnamon and sesame seeds is a match made in food heaven. It is so silky yet sticky, paired with cinnamon it is a mouthful of warmth and freshness. They make such a great combo to drizzle over breakfast oats, granola, and my almond flour waffles with blueberries. I love the specks of sesame that gives a slight bite and nuttiness to the honey. A recipe to share would be my recent love affair with harissa, a North African chilli paste with caraway seeds, cumin and garlic. And it pairs really well with honey. I use Balqees honey, cinnamon infusion along with an equal measure of harissa to marinate some chicken to make a weeknight one skillet chicken dinner. The marinated chicken (I used 500gms of chicken with skin, and made a few gashes for the marinade to seep in) was seared in a hot skillet until browned. The honey caramelized gives a beautiful brown colour to the meat. Once seared I added the remaining marinade and some potato wedges and cuts of corn on the cob to the skillet and baked in a preheated oven at 180C with fan for 25 mins. The marinade along with the juices from the chicken created a sticky sauce that is basted onto the potatoes and corn halfway through. This was a skillet that was flavour bomb of hot, spicy, sweet, sticky, nutty and aromatic chicken and veggies created in minutes with not much effort. An easy weeknight meal in minutes with hardly any preparation. Who doesn’t love that? Thanks to Fathima and Hiba for their insights. Let me know your favourite ways to incorporate raw honey and cinnamon into your recipes and daily dishes.